It’s Wednesday at 2 p.m. The marketing team is meeting with the executive leadership to strategize about how they can better differentiate the company in a crowded and largely commoditized market. The primary question they’re attempting to answer: What is the real business benefit we deliver? The good news is that they’re examining this question with a solid understanding of their customer’s journey. In other words, they’re taking a customer-centric approach. The bad news? It’s the wrong question. At the other end of that logical, value-driven marketing message is a human. And humans are driven by emotion, not logic. The better question to ask is: How can we make a stronger emotional connection with our customers at every stage in the journey? Even more important: How can we do it without making our customers feel manipulated? The dreaded backlash of emotion-based marketing gone awry! Research conducted by CEB/Gartner in conjunction with Google and Motista and involving over 3,000 B2B customers revealed some eye-opening and humbling results. Data shows that across all B2B industries (professional services, manufacturing, technology and more), there’s barely any difference in the value offered between competitors in any category. And if there is a difference, hardly any business customer is willing to pay for that difference. Although this could make it seem that the struggle to find your company’s unique value is essentially futile, this is not the case. The underlying implication is that companies need to look at value differently. The study also revealed that the business-value-driven promises that B2B companies make (such as a stronger bottom line, more sales, and increased performance) are far outweighed by emotionally driven outcomes such as making the customer’s life easier, earning customers the respect of their peers, fast-tracking professional advancement, making customers feel excited about the future and, simply, making customers happy. How much does personal emotional value impact decisions over business benefit? It actually has twice as much impact. That’s significant! The survey also suggests that B2B companies had emotional connections with 50% of customers, and no company studied had emotional connections with less than 40% (by contrast, studies show that any B2C company will have an emotional connection with only 10%–40% of consumers). In short, when it comes to how B2B customers “feel” about their service/solution providers, one word sums it up: strongly. 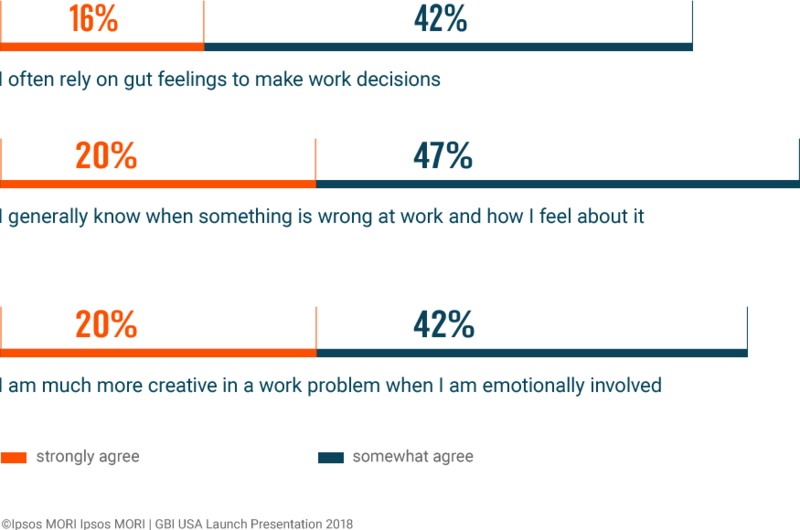 The 2018 Global Business Influencers study by Ipsos Connect shows that 74% of the world’s top business executives embrace emotions in their personal lives, and they don’t check them at the door when they come to the office. Clearly, emotional connection with customers is not simply an extra benefit of delivering great results, something that is gratifying but not essential. Rather, it’s THE driving factor that determines whether or not your company will even have a chance to prove it can deliver results. You are shopping for pants. There is a chance you might choose to purchase the wrong pair. Even if you do try them on at the store, you might not like them once you get home, or perhaps they won’t match the shirt you wanted to wear with them. If you do make a bad pants decision, you simply return them. It’s a low-risk scenario. Now, let’s consider choosing the engineering firm to work on your next project. Make a bad choice here and the risk is high. Should something go wrong, it could be your job on the line, and, at the least, you lose respect and trust within your company. These are huge personal consequences. It’s a very high-risk scenario. In fact, it’s so high risk that B2B buyers will not advocate for or move forward with your company until the emotional connection is strong enough to counter those risks. You might think that in complex or simply high-dollar-sign sales (where there are many stakeholders and long timelines) logic would have a chance to creep into the decision-making process. Eventually, the business benefit case would outweigh other personal outcomes that can’t be mathematically substantiated. The larger and more complex the sale and the longer it takes, the more time emotion has to creep in, take hold and become the major driver for closing the sale. In fact, emotion is there right from the beginning, driving the initial decision, and it only becomes stronger as the process moves along. Logic does come into play, but not in the way you’d expect. System 1 Thinking is fast thinking. It’s intuitive, perceptional and leads to feelings and emotions. System 2 Thinking is slow thinking. It’s analytical, deliberate and cautious. What’s interesting is that B2B customers do rely on System 2, but primarily to justify the decisions they made using System 1. Ultimately, Kahneman’s and other behavioral psychologists’ research shows that we put too much confidence in human judgment. So, the B2B marketing team that banks on human judgment to prevail will end up watching its company’s potential revenues go to competitors who put more weight on understanding the customer and using that understanding for making a strong emotional appeal. If you have already invested in gaining deeper customer understanding, it will give you an edge on using emotion in B2B marketing to your advantage. All you have to do is start leveraging the information about your customers to understand where and how to deliver personal value at each stage of the customer journey. If you haven’t taken steps to gain that deeper understanding, now is the time for conducting in-depth customer research aimed at gaining valuable insight about your customers’ goals, needs, desires, challenges, obstacles and opportunities both specific to your offerings and in a broader business context. In other words, it’s time to begin looking at your customers as people. Once you have real insight (not mere assumptions), what’s left is determining which emotions matter – and at which stage of the customer journey. B2B companies get stuck when they try to create an emotional connection through the business benefit case, rather than appeal to the underlying emotions and address the personal value at each stage. So, what exactly are those emotions and what personal value are customers seeking? Anxious: Your customer is anxious about the consequences of a “bad” choice, being confronted or having to deal with conflict, and the pain of change. Regretful: Your customer feels self-doubt after agreeing to move forward; it’s classic buyer’s remorse. Indifferent: Your offering is not a priority or isn’t relevant to the customer; the need for your offering doesn’t feel strong enough to justify the pain of change. Confused: Your customer feels it’s all just too complicated. They don’t understand; they feel in the dark. Frustrated: Your customer feels angry because the process is more difficult than it needs to be; you are not listening or not responsive. Whatever you are doing, it’s frustrating them! Curious: Your customer feels interested; they’re eager to find out more. Excited: Your customer is filled with anticipation; they feel great things are on the horizon. Confident: Your customer feels trust in your knowledge and ability or how you handle things. Connected: Your customer feels understood and has developed a good rapport and a strong bond with your company. Engaged: Your customer feels involved, part of the process rather than watching from the sidelines. Accomplished: Your customer feels they’ve made the right choice that will earn them respect and positively affect their career. Despite all the studies on emotion in B2B marketing, many companies feel the business benefit case is stronger. They say it’s tried and true. But do you notice the word “feel” in the sentence above? They have no proof (in fact, they have proof to the contrary). So what’s causing them to want to continue to lead with business benefit? It is risky to do something different, and the reality is that there’s a major risk of doing emotion wrong. Fortunately, if you follow just a few guidelines, you’ll stay on the positive side of the emotion-in-marketing equation. Relevancy is key. Make sure the emotional cues you provide are relevant to your audience personas and what influences their decision-making process. Nothing is more off-putting than marketing communications that make wrong assumptions about how someone feels. In fact, getting it wrong leads to cringeworthy messages! Your communications must elicit the right types of emotions. Although sadness or laughter could be very effective in B2C, B2B companies need their customers to feel a sense of confidence and trust and be excited about the promise of success and recognition that comes as a direct result of making the “right” decision. This doesn’t mean that there’s no place for joy, charm or compassion, but before you send out that cat video, pause to consider that it may not be the right choice. In recent years, “authenticity” has emerged as a central component to building trust and relationships in B2B, making it essential for creating strong emotional bonds between companies and customers that outlast the fatigue of long sales cycles. People can see through marketing initiatives that are designed to make your company look good versus those that demonstrate what your company is authentically about. To maintain engagement for the long term – to make a lasting emotional appeal – your brand must speak with its authentic voice, and your actions must align with your company’s purpose and values and the pledge it makes to its customers. Whether it’s admitting a mistake or being transparent about your implementation process, being open and forthright will make a far greater difference in creating likability and earning customers’ trust (and, therefore, securing and retaining their business) than quick-win marketing tactics and flashy gimmicks. Being perceived as authentic will become even more critical in the future, as the highly skeptical Gen Zers will hold companies to a higher standard, demanding they walk the talk. By definition, a company’s brand purpose is derived from emotion. It’s what a company stands for, the larger positive impact it strives to have on employees, customers, society and the world that extends beyond selling products and services. Therefore, marketing that reinforces your company’s brand purpose can’t help but elicit emotion from customers and draw in those who feel an affinity toward the same larger goal. In his book Enchantment, Guy Kawasaki advocates for treating all business offerings as a cause – something that everyone can rally around. Think about purpose-driven marketing communications as tools for enchanting people into buying your services. 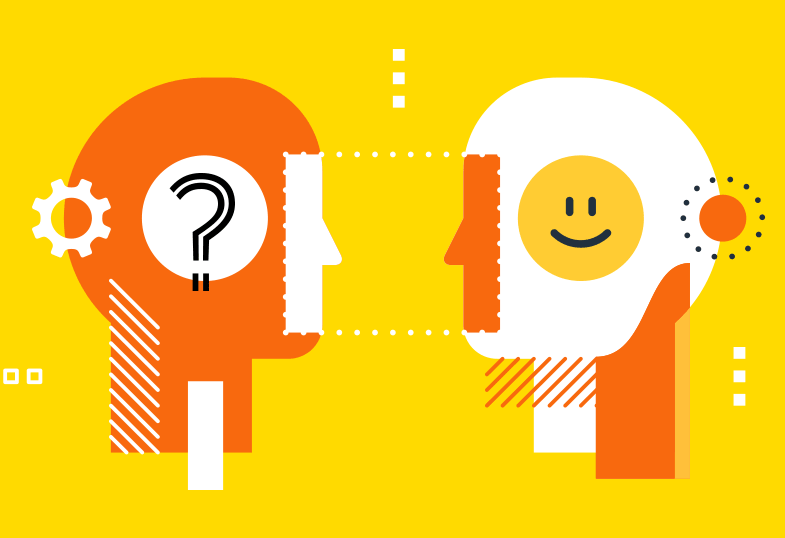 Putting yourself in your customers’ shoes and looking at your company’s customer experience from their perspective is the most effective way to uncover the big insights that are required for emotional connection. The problem with much of today’s B2B branding and marketing is that it’s too general – not unique to the customer or the company. Understanding your customers is about getting to know the actual people behind your CRM data. Although it may be useful to understand general demographic facts and industry context to win customers’ business, you need to have deeper insight into their motivations, fears, aspirations and other emotions that drive behaviors and shape their individual preferences and actions as they progress through (or end) the journey. The problem with business benefit isn’t that it’s not valuable, it’s that it’s typically undifferentiating. The idea isn’t to forgo talking about business benefit altogether but to connect prospective customers to that benefit emotionally. So, for example, your marketing message might stress the results experienced by the people your company serves over the results you deliver to their companies. When you drill down past assumptions to underlying business and life truths, you’ll hit a gold mine of ideas that will lead to more powerful marketing, as well as to more compelling ways of doing business. At Substance151, we help companies develop and execute brand and marketing communications that form strong emotional connections with customers. Contact us and let’s discuss how we can help you differentiate your brand and experience at every stage in the customer journey.